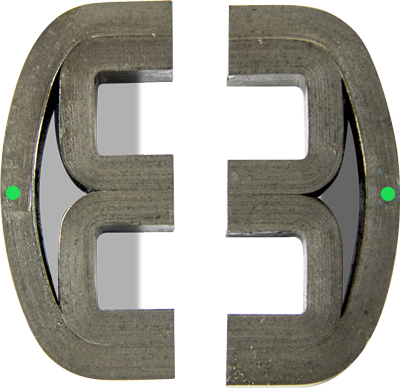 Eilor Magnetic Cores, an Israeli company that manufactures blocks and tape-wound magnetic cores, has opened its first location in the United States in Troy. The new office is inside Automation Alley’s International Business Center headquarters near Big Beaver and John R. The center provides 90 days of complimentary office space, meeting rooms, and services for foreign companies to use as a home base while exploring opportunities in Southeast Michigan. Automation Alley is southeast Michigan’s Industry 4.0 collaborative made up of nearly 1,000 technology companies. Feinmesser is in Troy this week to meet with customers and partners. “With our globally known Foreign Direct Investment success, having over 1,000 foreign firms from 39 different countries, we can offer the support that Eilor needs to launch and be successful long-term in our nation,” says Irene Spanos, director of economic development and community affairs for Oakland County. According to an Oakland County release, manufacturing jobs grew by more than 19,000 in Oakland County in 2017. The county hosted The National Association of Manufacturers Annual State of the Manufacturing Industry earlier this year at Automation Alley and will host the county-wide Manufacturing Day in October. More than 95 percent of Eilor’s total sales are derived from its export business, and the company’s products are sold to customers in more than 20 countries.